One of the most important products to have on hand is a thermometer. Unfortunately you don't want to assume that your new born baby will get sick so fast but things happen and it's best to be prepared. If you're already a mom then most likely you would already have one but if you are looking for a great thermometer the Kinsa QuickCare Thermometer is one of the best! It provides accurate readings in 8 seconds, the tip is flexible which makes it less uncomfortable for your little ones and it's free app lets you track your baby's readings plus provide guidance on how to soothe your little one. While on the same subject the FridaBaby SickDay Prep Kit is also a nice staple to have on hand. This kit comes with everything you need to help your baby with those colds. The kit includes the iconic NoseFrida, the MediFrida (Accu-dose pacifier), Breathable snot wipes, and an Organic BreatheFrida vapor rub chest balm. Next up on the list, the Milk Snob Cover. 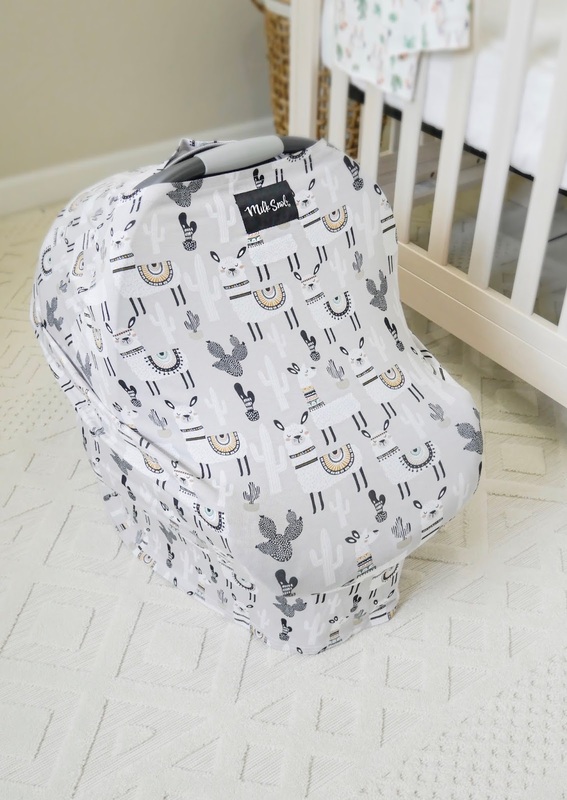 The Milk Snob Cover is a 5-in-1 cover that can be used as a a cover for infant car seats, nursing, shopping carts, high chairs and infant swings. This versatile cover is made of silky soft, premium knit fabric. I am not kidding when I tell you the fabric on this product is amazing!! I could literally snuggle in this all day long if I could. This is a must have for all the moms-to-be out there. Another product that I think should be on your baby registry is the Lansinoh Hands Free Breast Pump Bustier. This bustier allows moms to multitask while pumping. It's adjustable and has a four way support system for a secure seal. This specific one works with all double electric breast pumps which is why I love it. If you are going to breastfeed than having a breast pump is a must! 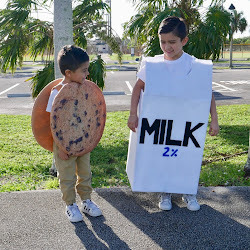 When I had my boys unfortunately I only produced milk for about 3-4 months with both of them and pumping was actually what helped me get most of my milk. The Spectra Baby S2 Breast Pump is a really good one. This one allows you to program the pumping speed and rhythm according to your body. It also works great with the hands free bustier I mentioned above. 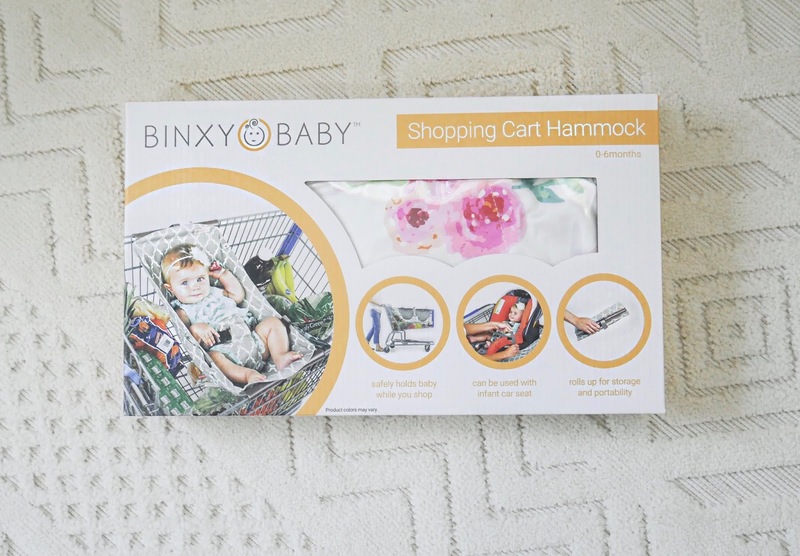 A product that I found to be very interesting is the Binxy Baby Shopping Cart Hammock. This hammock easily clips into most shopping carts and hangs elevated so you have plenty of room for your groceries. To put it away, simply roll it up and put it in your purse or diaper bag. The shopping cart hammock can also be used to secure your carseat in the shopping cart. Lastly we have the DockATot Deluxe. I have to say I am new to this product, this product was not around when I had my both my boys but I am so excited to use it with my baby girl. By now i'm sure all of you have heard of this product but for those of you that don't know the DockATot is a multi-functional docking station for your baby. It is designed to mimic the mother's womb and provide a comfortable and snug environment for the baby to rest, lounge, and play in. It's lightweight and portable which allows for easy travel. I have to say the price tag throws you off with the Deluxe dock designed for babies 0-8 months ranging from $175-$200 and the Grand dock designed for 9-36 months ranging from $275-$300. However, after reading all the reviews I do feel that this product is a great investment for you and your baby. Of course I will have a follow-up review once I put it to use. What are some of your must haves? Leave them below so I can check them out. These are seriously great ideas! These are some great ideas! I will definitely keep them in mind for my friends' upcoming baby shower. She is bound to find this list useful. yes, definitely share it with her. Especially the kinsa thermometer! She will not only need that now but for ever. I will definitely share these with other newbie moms. I absolutely adore all the items. Congrats on the Little angel. I had a lot of these with my kids and I agree that they are all must haves for a baby registry! I do love a dock a tot especially! I got the bigger one and my toddler can still use it! I am so excited about that one. That product is the only one I haven't used but I have heard time and time again from people that have used it that it is amazing. These are great picks the nose deblocker and the dockatot are life savers. I like your ideas and I agree! I wish I had some of these on my registry. I can't even remember if I had one or not. My friend, who has been struggling to conceive, just found out she is expecting! I can't wait to buy her some great gifts! Thanks for the ideas! Aww thats amazing! I love hearing about women expecting especially after having a hard time. Wish her well for me! 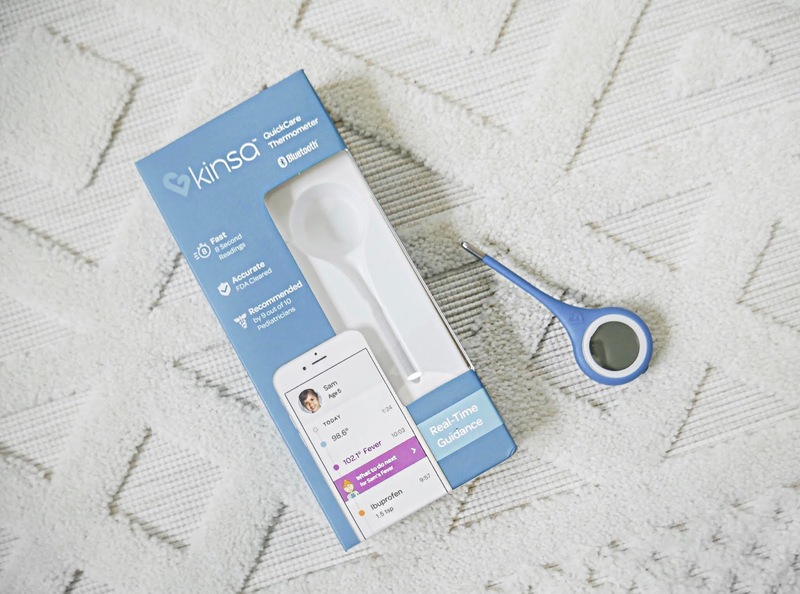 Great list you have there and Kinsa quick care thermometer look super cute. I have not seen that kind of shape before. I like how theres a app to let you track baby's reading. Yes, It's really good. It also reminds you when it's time for the next dose of medicine. I love each of the ideas. The pictures are so cute :) Never knew about the hands-free pumping bra... whoever, thought of that?? Okay so for me the hands free pumping bra looks a little weird but I do remember using both electric and manual pumping machine as well and none were great. The other items are certainly amazing and fun, the sick day prep kit is cool. It is a little weird at first. However in my case it's helpful especially because when I used to use the manual pump I would literally have to sit there holding the pump for 30-40 min each time. Also it's good to do research on breast pumps because not all of them will be great. The one I used with my boys literally saved me, because of it I was able to store enough milk to have for them for a few months. I'm so glad that I'm done with this... even if I must admit preparing for my babies to come was the most amazing happy time of my entire life! Oh these all look great for new mums and some really good ideas here! Having a baby is hard work, getting the right products can really help! Yes, I love these!! I'm actually due in 7 days - woohoo!! I received all of these at my baby shower, or bought the rest. Great suggestions! First fo all, Congrats on your pregnancy you're almost there and of course best of luck on your delivery. This is great! I have a few friends who are pregnant and expecting so its nice to have a list of additional must-have items that I can gift them. Oh wow so many fantastic gifts! I have a baby shower to go to next month and I'd love to get that handfree pump bra for the mom to be. She's gonna love it. Cute ideas for baby registry must haves. There are plenty baby items on this list to choose from. I have a friend whis having a baby shower soon. I will share this post to her so she can have an idea. I'm not yet in this stage of my life but I'm really noting everything you've posted. That handsfree pumpbra looks so promising, it can help me multitask, really! I love your photos! They're so clean and crisp!